31 yrs of Metroid + 21 yrs of MDb = New Website. So it finally happened, everyone! MetroidDatabase.com has been reborn into the site you see before you. 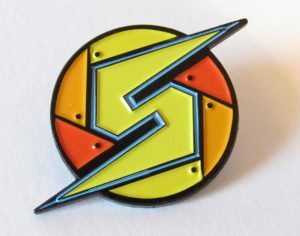 We have put a lot of work into making this site into the best possible Metroid site on the web and we hope you’ll agree. When you think about it, twenty-one years of Metroid content is quite overwhelming, and that said, I’m going to be perfectly honest: it’s not all there. The new site had to be released today for obvious reasons as it is our 21st anniversary of being online. The good news is in its current state, it’s quite usable. You’ll be able to paruse all of our revamped game sections and take a look at most of our media, maps, and information on the game series. You can even listen to a soundtrack while viewing that game’s section, too! But on the other hand, a lot of our old site simply hasn’t been converted or added to this new design. It’s a lot of work. And I believe most of you will understand that. We can only do so much in a limited time span with limited resources and staff. Rest assured, we will be constantly adding more and more content to the site as time goes on until the site is back in its former glory and beyond. This includes the forum (which we plan on giving it a new look), the podcast, the entire 21-year news archive, all of our features pages and articles, comics and manga, and more. We’ll also be putting out a job req out there sometime soon, if you’re interested in joining the ranks of the MDb staff. You may also notice that we now have a store. The MDb store can be found here, and will allow you to purchase our new enamel pins. These pins are in very limited quantity. So if you want one, now’s the time, because they are guaranteed to not last very long. We are also going to be offering custom decals to you. As of this writing they are not ready yet, but they are definitely on the way, so look forward to that. All of your purchases will directly assist funding this website and hopefully allow us to produce more cool stuff for you! Lastly, I would like to send out a huuuuuuge thank you to our new rockstar web developer, Jarrod, whose elite WordPress skills were taken to their very limit. He has helped create something very special, and we couldn’t have done any of it without you. Big props to him.